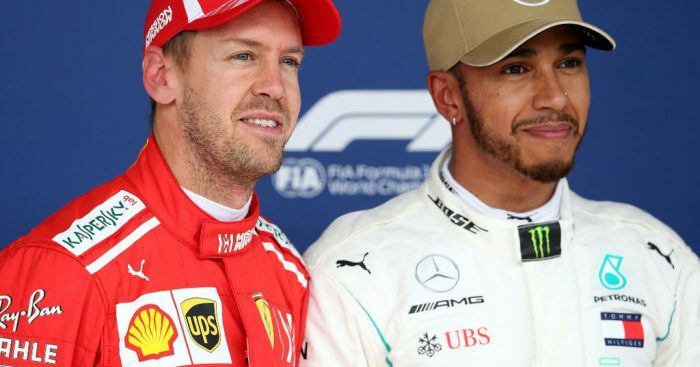 Lewis Hamilton’s next Formula 1 contract will be with the “Manchester United” of Formula 1, Ferrari, that’s according to pundit Tony Jardine. Hamilton has been linked to Ferrari on and off throughout his illustrious Formula 1 career. However, rather than make the move many have been predicting for years, the Brit re-signed with Mercedes last season. He put pen to paper on a two year deal that will expire at the end of 2020. And then, Jardine reckons, he’ll be off to Ferrari. “Yes, after those two years [at Mercedes], he might finish his career [at Ferrari] and do a two-year deal with them, which would be fantastic,” Jardine told Express Sport. “Any driver always thinks about going to drive for Ferrari because it’s the dream. “It’s like the Manchester United of the sport. It’s the red colours, it’s the heritage, this incredible history. “British drivers have done very well there. “You look at [Mike] Hawthorn, you look at [Peter] Collins, you look at Nigel Mansell and the Italians absolutely loved him. But, Jardine concedes, it could all depend on how Ferrari do over the course of the next two seasons. “But, if Ferrari were doing badly, I don’t think he’d go there,” he continued.